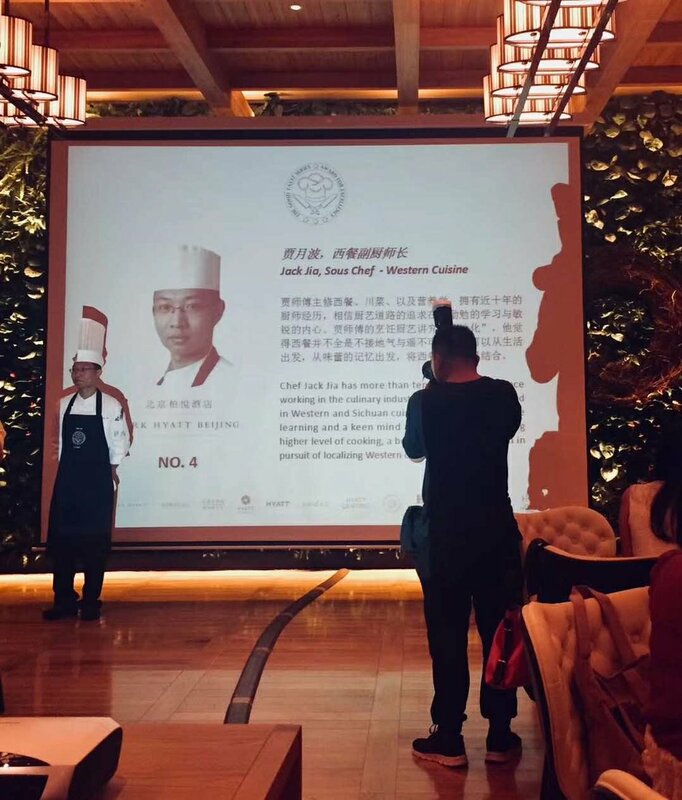 Tonight's Good Taste chef competition hosted at the Andaz Xintiandi was a showcase of chef talent from Hyatt hotels across China. 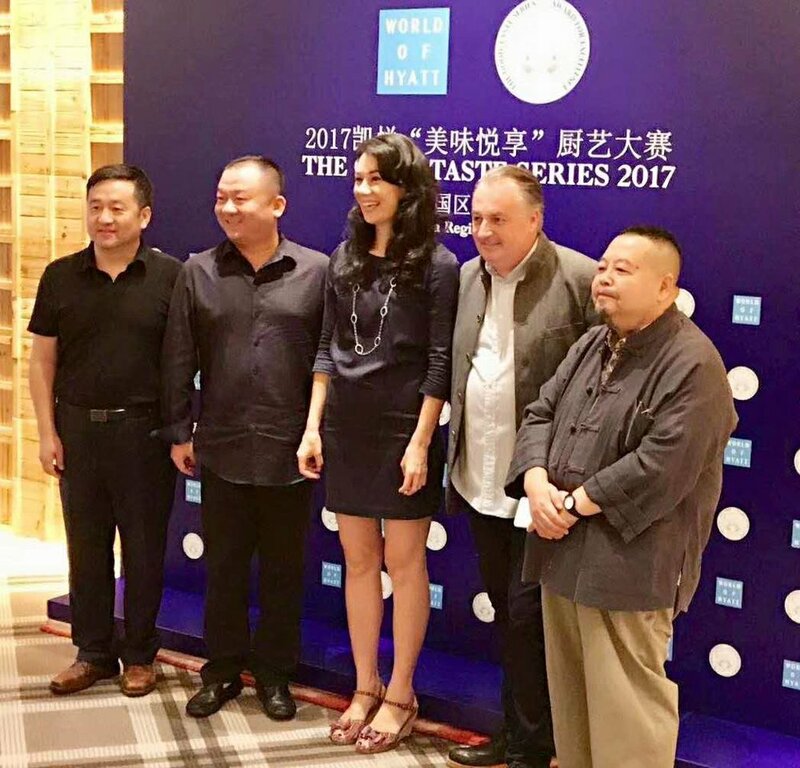 It was an honor to be on the judging panel with old friends Stefan Stiller (of the Michelin starred Tai'an Table) and legendary Shanghai food critic Shen Hongfei. I was impressed with the painstaking dedication of all the chefs—most of them said they had barely slept the night before worrying about all the menu details. I overheard one chef say his hands were shaking as he was plating. 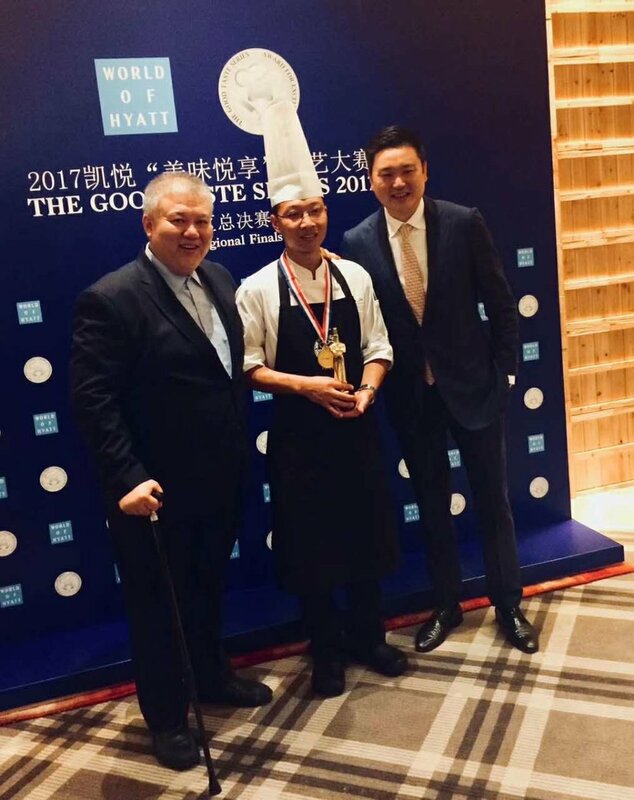 The talented Jack Jia from Park Hyatt Beijing was the deserving winner, a modest and sweet guy who combined precise, vivid presentation and delicious, creative tastes. Jia, who had tears in his eyes as he accepted his trophy tonight, will go on to the US based finals in 2018.